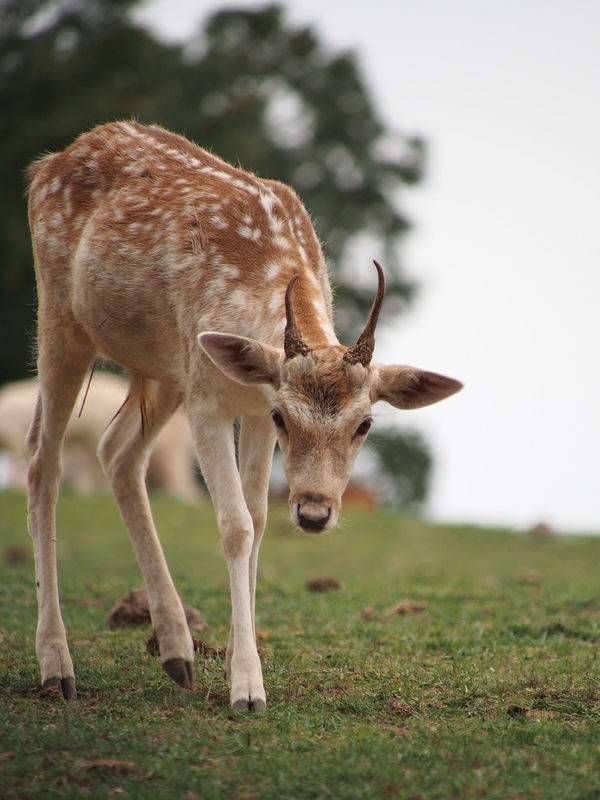 Are There Fallow Deer in the Promised Land? Yesterday on a lark I decided to visit a local attraction called the Promised Land Zoo. I live near a tourist destination and its surrounded by attractions. Having grown up in the ultimate tourist destination, Las Vegas, I’m typically skeptical of attractions – but this one did not disappoint. It had a sweet petting zoo at the entrance followed by a driving tour that covered over 100 acres. 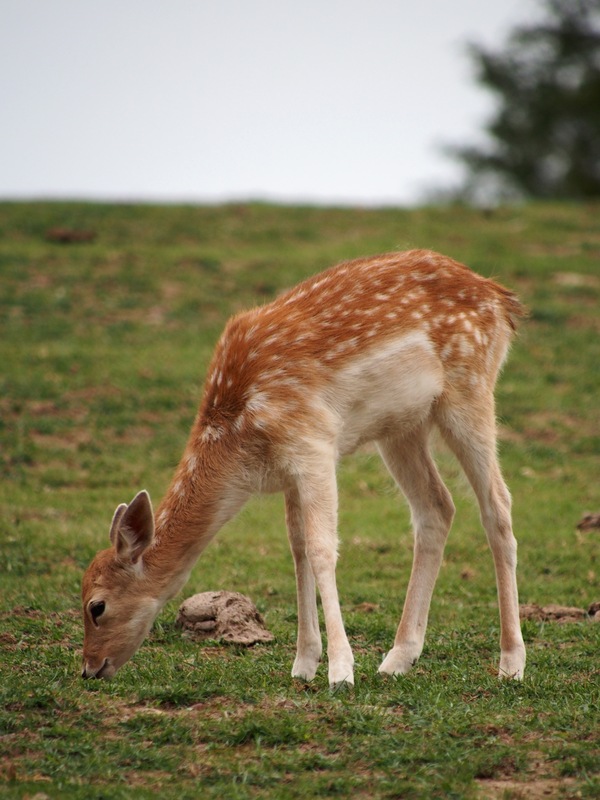 Hundreds of animals graze in the open fields of the meadows below the highway entrance. 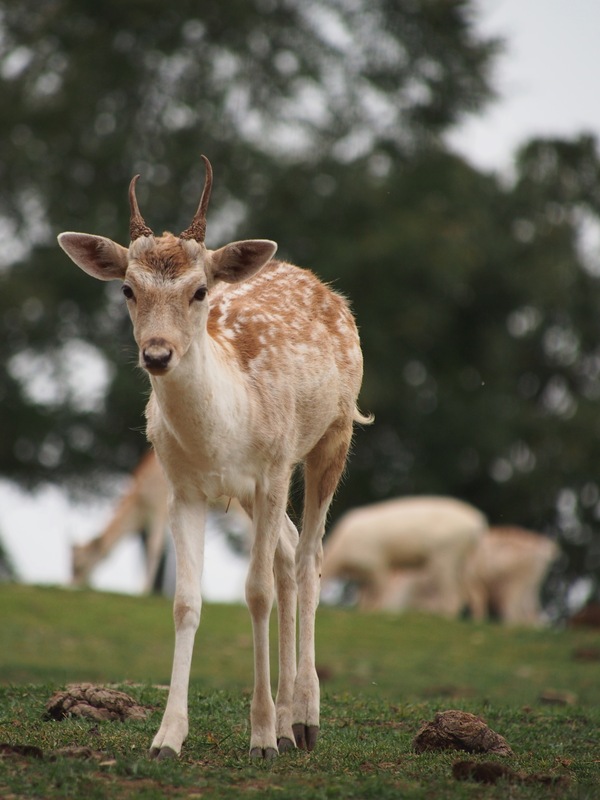 I was especially taken with the fallow deer. 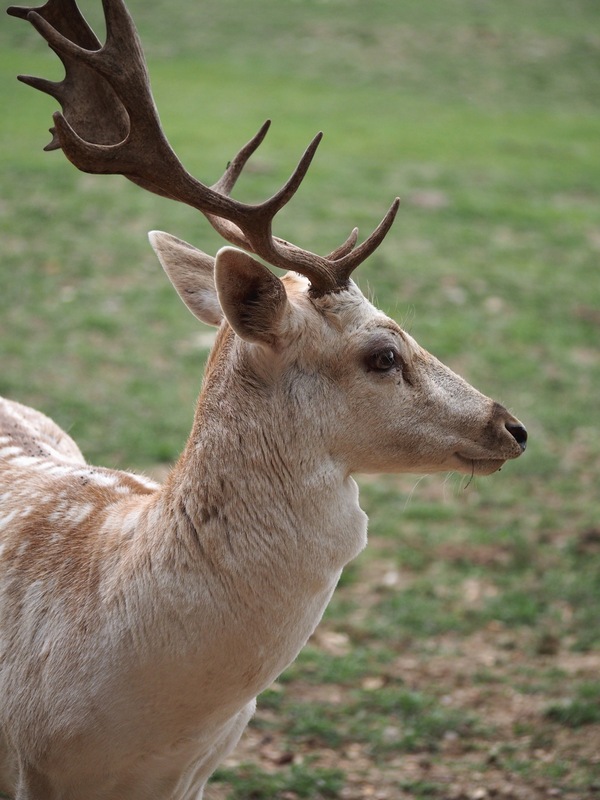 Fallow deer are native to Eurasia and have been exported to every continent with the exception of Antarctica. 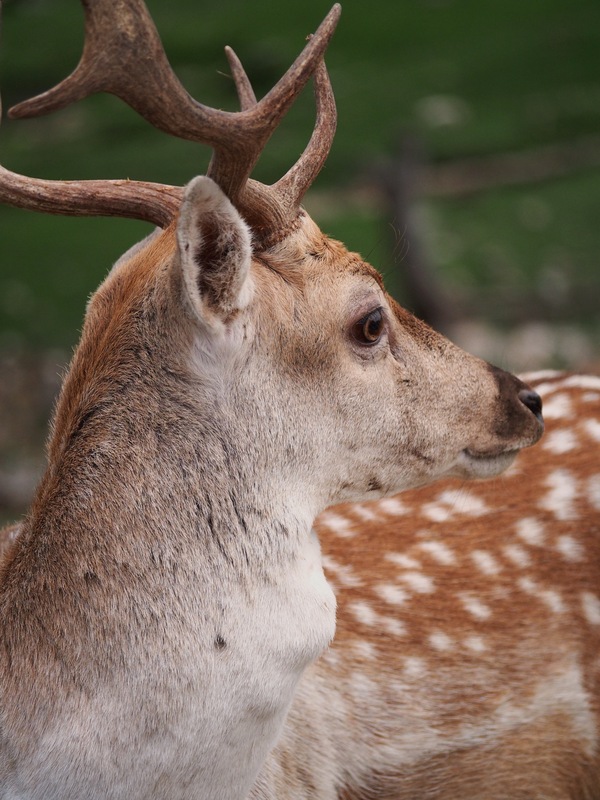 They are relatively small – except for the older bucks they are about the size of a large goat. Then bowed and raised his head up high. He bowed and raised his head over and over until we moved on. 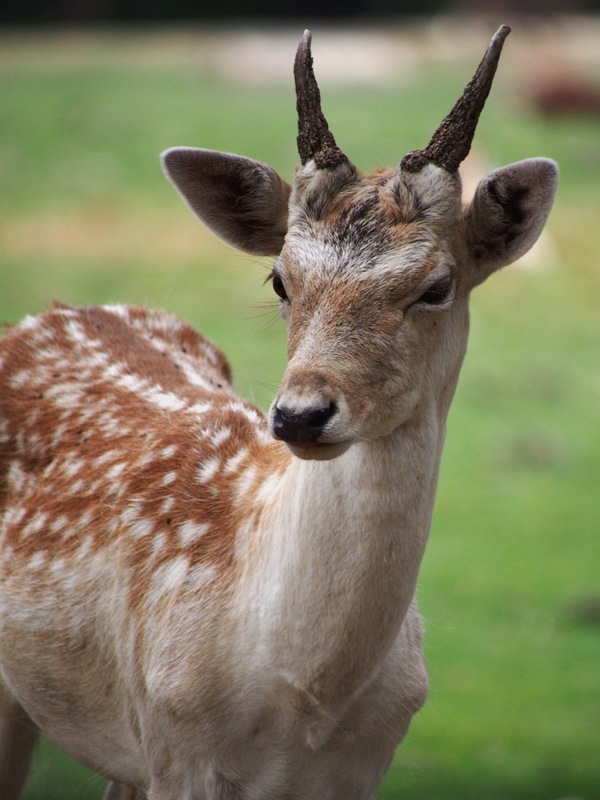 It is said that the Romans imported fallow deer to Europe and the Normans brought them to Britain. 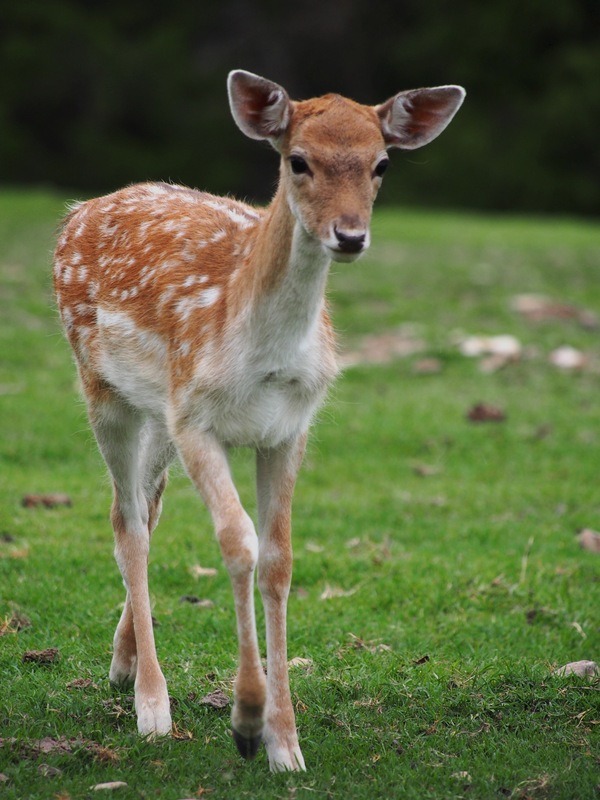 These are the menil variety, they have spots like the fawns of the American whitetail all summer long no matter their age. 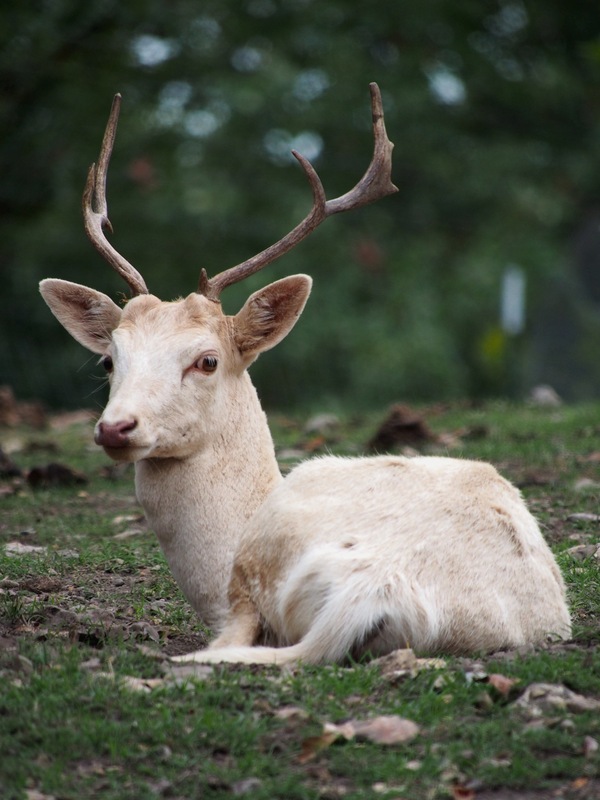 The white spots mimic the play of light through the trees in the woods. These make up the largest portion of the herd at the zoo. These young fawns seemed to have a natural curiosity about the jeep. They did not rush over towards the jeep, but they did start wandering my way each time I stopped the vehicle. 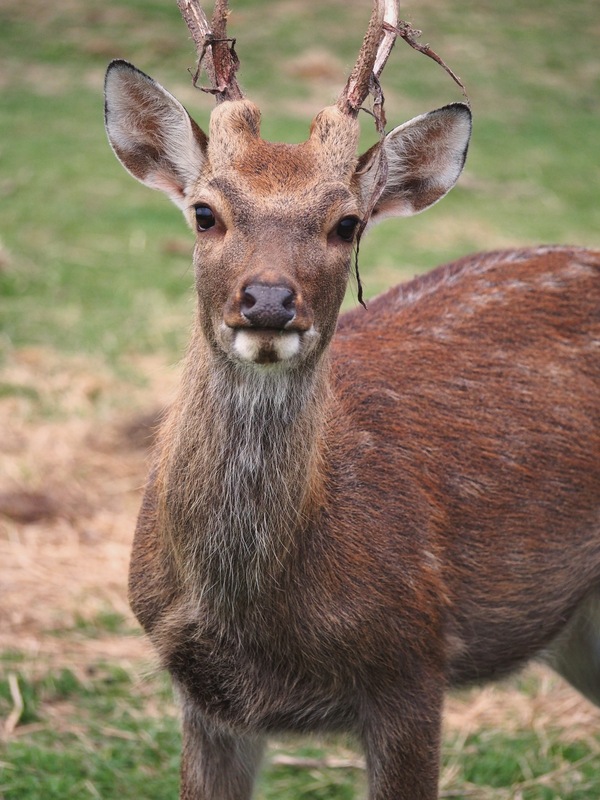 The young bucks have simple spikes for the first couple of years. 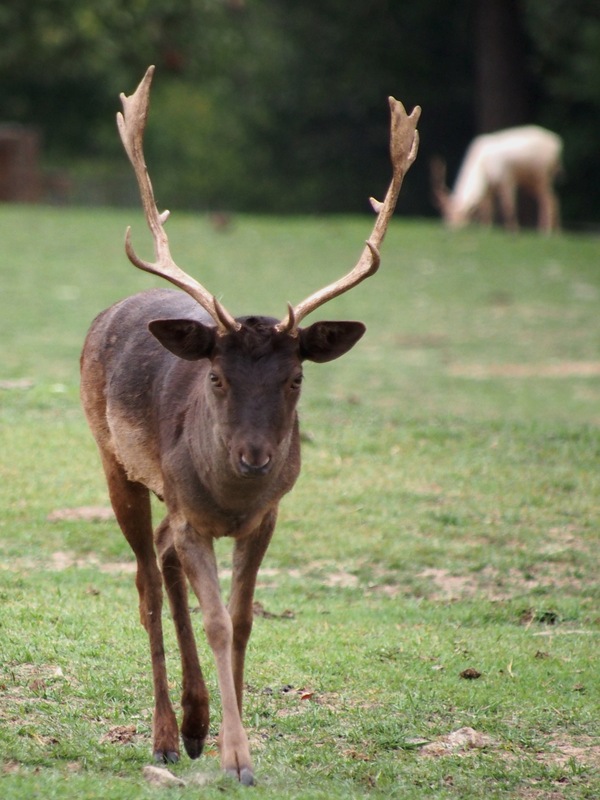 After their third year they develop palmate antlers similar to those on caribou. All of the adult males seem to have this same curved neck that resembles an Adam’s apple. 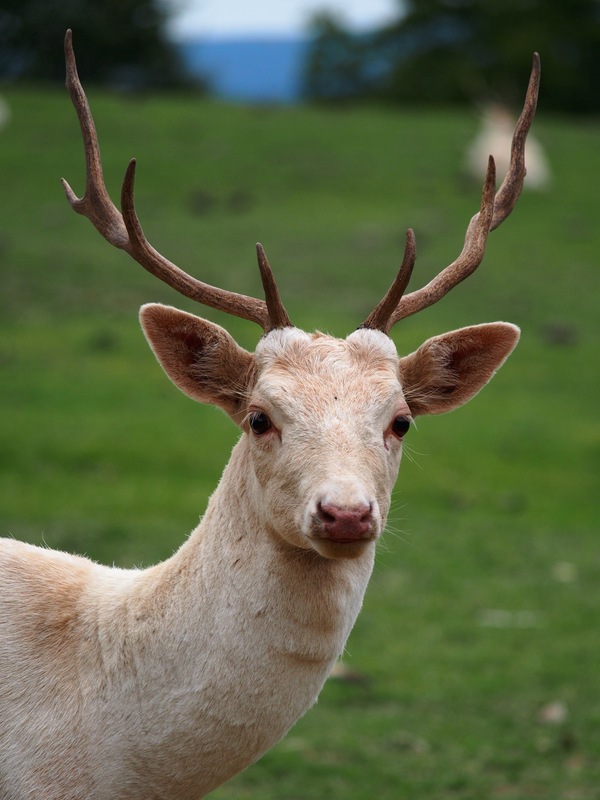 There are historic herds of fallow deer in Sweden that date back to the 1600’s. 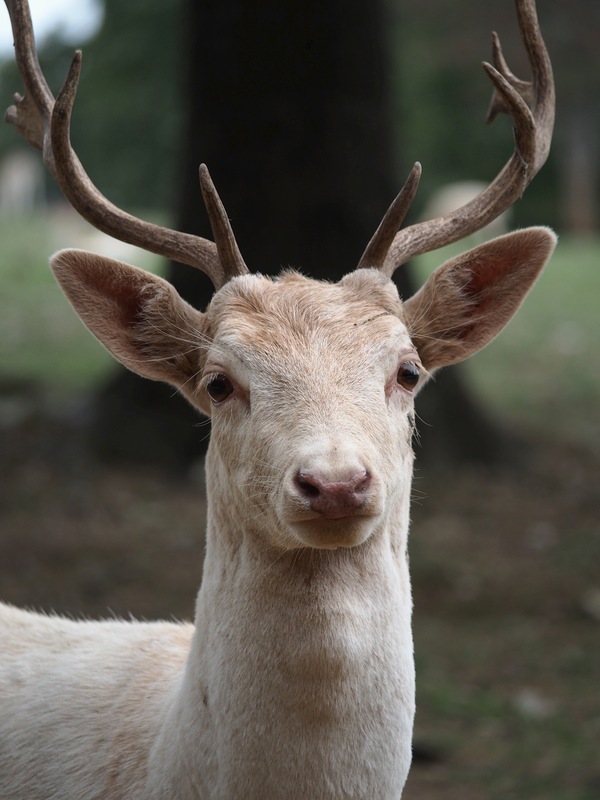 This buck is of the menalistic variety. He approached the passenger side eagerly. He stopped short about 6 feet from the jeep and started to throw poses my way. 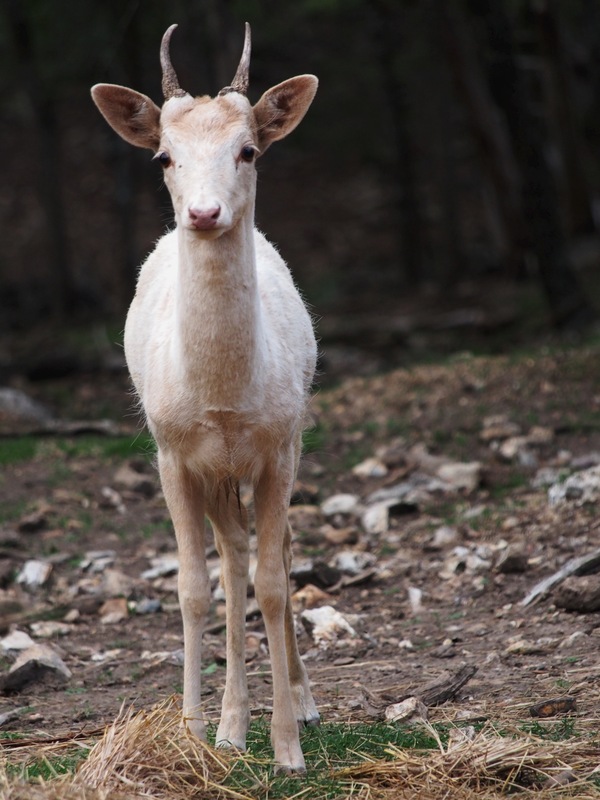 The fourth variety is leucistic – a white variety that is not albino. Seeing this buck lying on the grass it occurred to me that these deer look like something out of a renaissance etching or coat of arms. 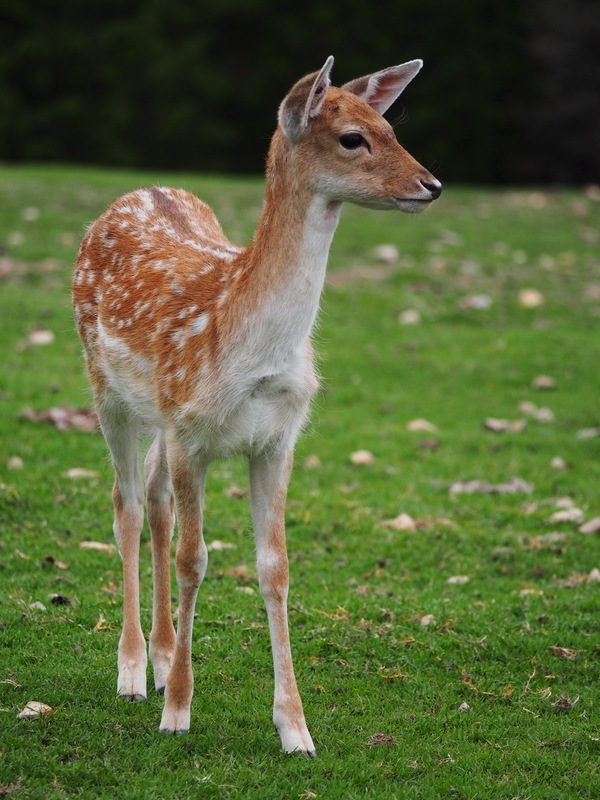 They are small and approachable, but they are almost regal. 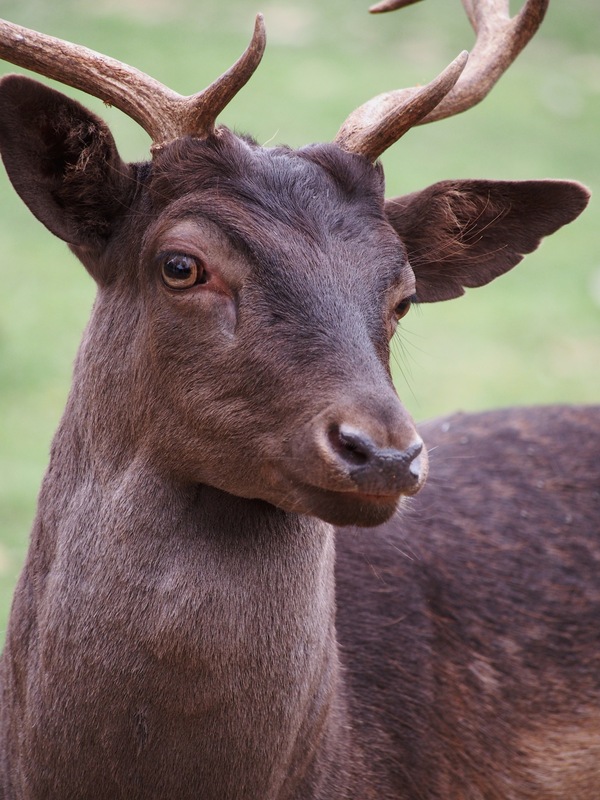 Large piercing eyes, huge antlers, and a dramatic and curvy shape. To my American eye they seem just a bit exotic. And calmly looked me over. There is something sweet about their nature. They don’t seem to be on alert like the local white tails. 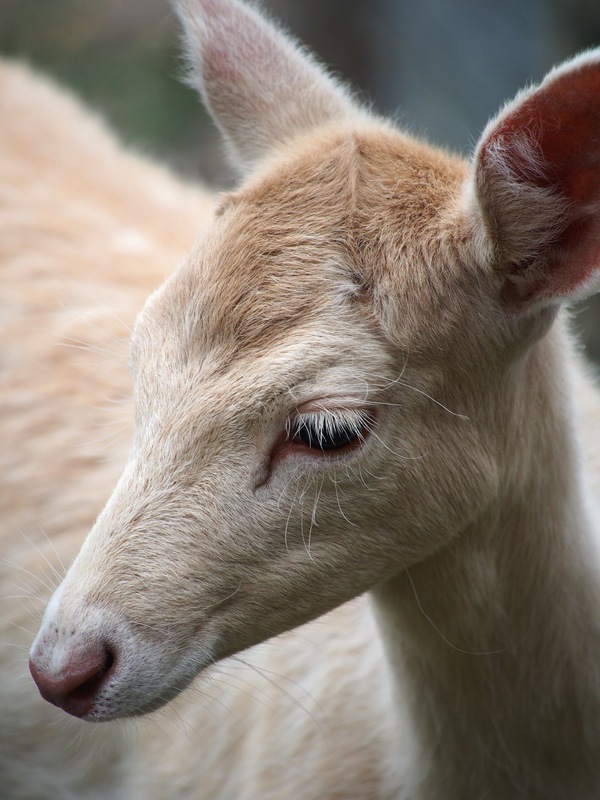 This is a nursing fawn in the petting area. 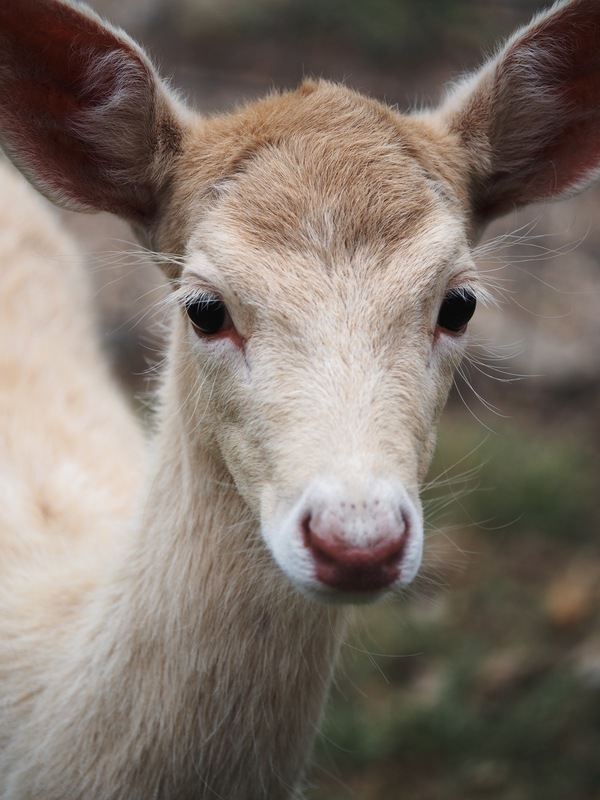 She is bottle fed and is incredibly tame…. When she grows up she will rejoin the herd in the Promised Land. 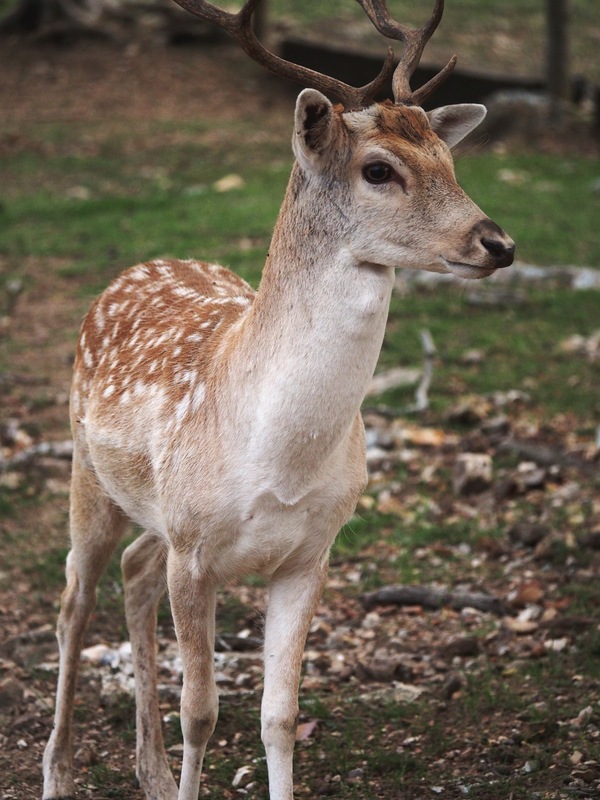 This entry was posted in Ozarks, Photography, wildlife and tagged Eureka Springs, Fallow Deer, Olympus, Olympus E-M5, Ozarks, Promised Land Zoo, wildlife by artsifrtsy. Bookmark the permalink. That’s so cool. I started shooting my mom’s Rollei when I was about 10. I have a Goldendoodle, I bet a weimerdoodle would be huge! Wonderful photos. I felt like I could reach through the computer screen and touch them. Thanks for sharing your visit. Thank you – they are lovely little animals. 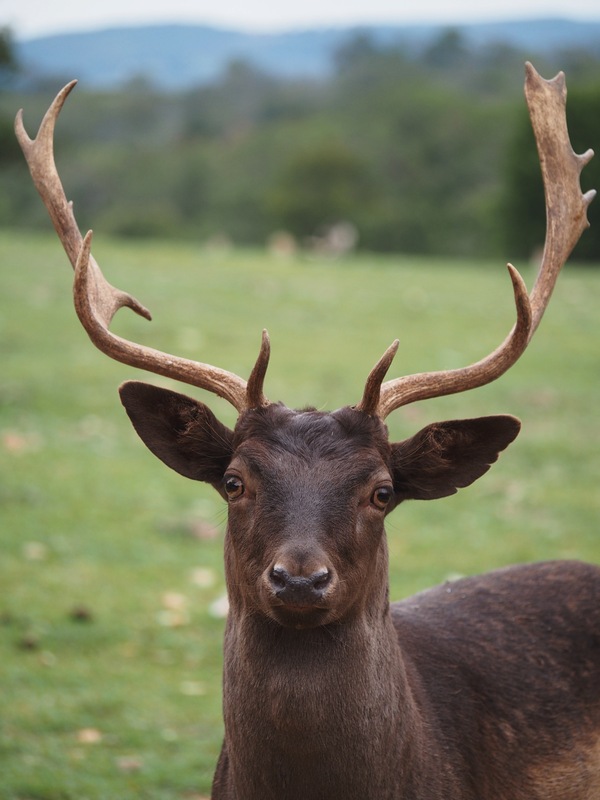 Thanks – I kept thinking about the stags in heraldic crests when I saw them. I always assumed that those images were stylized until I saw these guys. beautiful animals. I love their eyes. Wow! fantastic photos. how close did you have to get to take these? 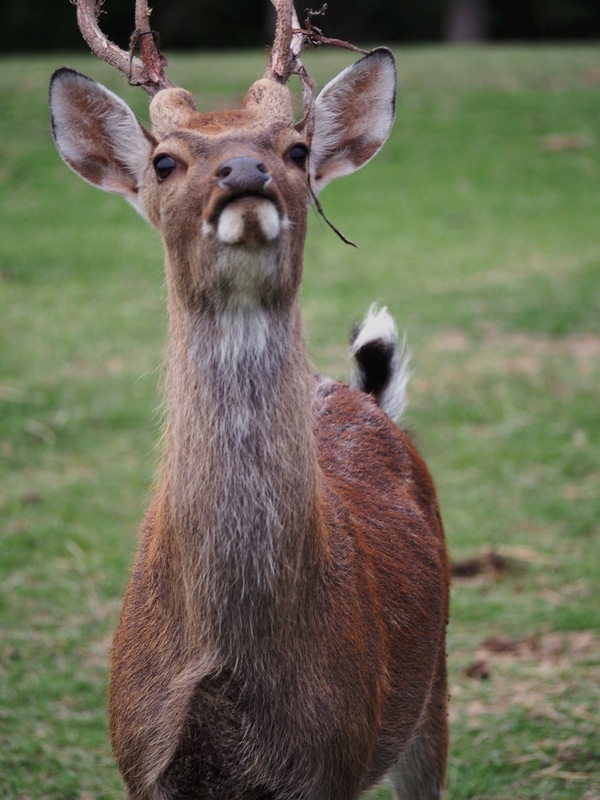 The bucks approached the Jeep each time we stopped – some were only about 6-8 feet away. Some I shot over my passenger – maybe 12 feet. 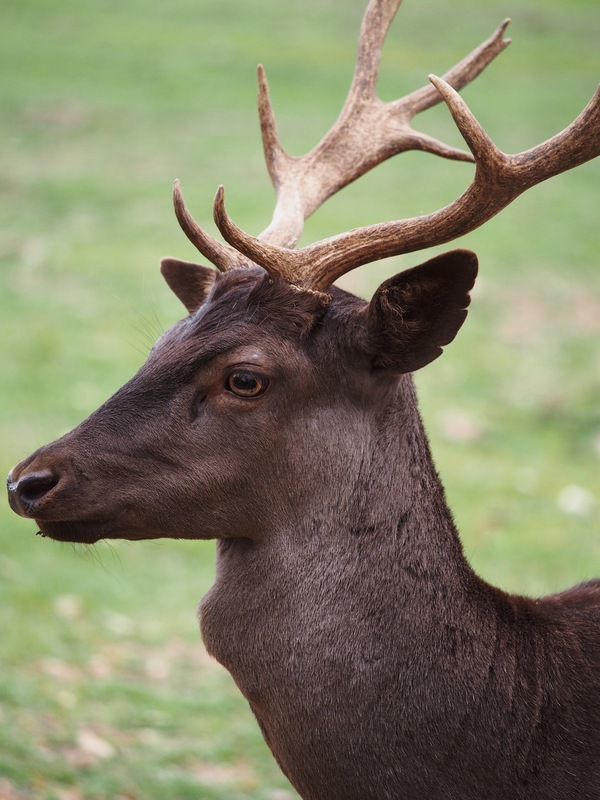 It seems that certain bucks approach vehicles – no does came close to us. Well you have patience and a huge talent for getting such fantastic shots.